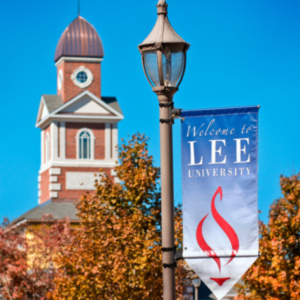 Admission to Lee University is based on evidence that the applicant possesses the qualities needed for satisfactory achievement in terms of character, ability, academic foundation, purpose and personality. The university admits students regardless of race, color, national origin, religious preference or disability. To be eligible for admission the applicant must have graduated from an approved high school or satisfactorily completed the GED test. 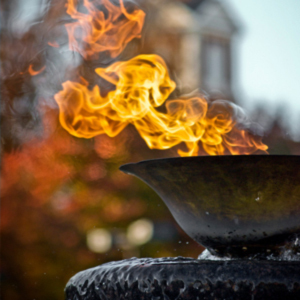 All persons who register at Lee University are required to file an application. Acceptance of students is based upon discernable qualities and potential without reference to any perceived notion of an ideal class. An application for admission on a form provided by the university or through applytolee.com. An official high school transcript mailed directly from the high school. All students must graduate with a 2.0 GPA, and a composite score of 17 or above on the American College Test (ACT) or a total score of 900 or above on the Scholastic Aptitude Test (SAT). The SAT total score used is based on tests taken March 2016 or later. For tests taken prior to March 2016 we will use SAT concordance tables to determine admissions eligibility. Students who are not Tennessee residents transferring with more than 15 semester hours are not required to furnish a high school transcript. Students who are Tennessee residents and transferring 24 or more semester hours will not be required to furnish a high school transcript. An official test score report from ACT or SAT. (Applicants are not required to take the new writing component of these exams.) Transfer students who are not Tennessee residents with more than 15 semester hours are not required to submit ACT or SAT test scores. Students who are Tennessee residents and transferring 24 or more semester hours will not be required to furnish test scores. Applicants who have not already taken the entrance examination (ACT or SAT) will be required to take it prior to acceptance. The ACT/SAT should be taken on a national test date. Exceptions to this policy may be forwarded to the Vice President for Enrollment for consideration. To be eligible for Academic Scholarships, ACT/SAT exams must be taken on a national test date. An application fee of $25 (non-refundable, non-transferable). When the above requirements have been fulfilled, a student will be notified of his/her acceptance or rejection by the Office of Admissions. The university may refuse admission and registration to students not meeting the minimum requirements or may admit them on probation for limited work. 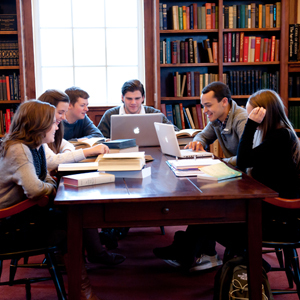 Admissions policies are reviewed annually by the Admissions Committee. Applicants who have not completed high school will be required to take the General Education Development test. These tests cover English, natural science, social sciences, literature and mathematics. The tests are given in many major cities throughout the nation. One may apply for admission with an average score of 450 or above. Superior students with advanced work in high school are encouraged to work at more advanced academic levels. An official, original score report is required in order to evaluate academic credit. AP credits will be entered onto the student’s Lee University transcript upon receipt of report. However, if the student never attends Lee University, a request for official transcripts of AP work will not be processed. Credit earned by testing will be designated on the transcript by a grade of “P” (Pass). A maximum of 32 semester hours can be earned by advanced testing. Additional information regarding AP may be obtained by contacting The College Board at www.collegeboard.com. Additional information regarding CLEP may be obtained by contacting The College Board at www.collegeboard.com. NOTE: If a student has a question regarding a course for the above-mentioned programs (AP, CIE, CLEP, IBP), the student should personally contact the Dean of the Department in which the course is located to discuss the course in question. Original transcripts containing college credits acquired through USAFI should be submitted directly from the testing agency to the Office of Admissions at the time of application for admission to Lee. It is critical that these scores be sent to Lee as quickly as possible for course placement purposes. Transcripts will be reviewed to determine the number of hours and specific courses acceptable for university credit. CHEM-111, CHEM-112 (4, 4) With extensive lab documentation and department approval. NOTE: All CLEP credit is recorded on the Lee transcript as Pass-Fail, not letter grades. Early admission to the university may, under strict conditions, be granted to students before graduation from high school. The student applies for early admission with the advice and approval of his/her principal and guidance counselor. To be eligible for this early admission program, the student must have a minimum 3.5 high school grade point average and must score at least 22 on the ACT or 1070 (Math and Critical Reasoning only) on the SAT. A letter of recommendation from the parents and high school principal must accompany an application for early admission. The Lee University High School Dual Enrollment Program’s purpose is to provide local high school students a means of beginning their college careers while simultaneously earning high school credits. Students must be high school juniors or seniors with a cumulative GPA of 3.0 or higher and have an ACT score of 19 or higher in the subject to be taken (if applicable). They must also complete an admissions application and provide approval from a parent or guardian and high school principal or counselor. Grades are provided upon completion of college classes to the respective high school guidance counselors. Dual enrollment is charged at a discounted rate and may vary from year to year. Applicants who are accepted as first-time freshmen whose high school grade point average is below C (2.0) or with an ACT score lower than 17 may be accepted on probationary status. Such persons will normally be limited to a 12-14 hour course load and may be required to enroll in special sections for the first semester. Enrollment of such students at the university will serve as proof of each student’s acceptance of his/her probationary status. Transfer students who have earned more than 15 semester hours with a grade point average less than 2.0 may be accepted on academic probation. Students who are in good standing will be eligible for readmission. However, readmission after suspension is never automatic. The student must apply for readmission and be approved by the Admissions Committee. Any student who is suspended for academic reasons is ineligible to apply for readmission until one full semester has elapsed. The summer session is not considered a semester. Readmission requires a new application and a written letter explaining the reason for returning to Lee. Application fees are required at the time of application. All freshmen are required to submit scores on the American College Test (ACT) or Scholastic Aptitude Test (SAT). High schools should have registration forms for these tests. If these registration forms are not available in your high school they may be obtained on the Internet at www.act.org or www.collegeboard.com, or by calling ACT at (319) 337-1270 or SAT at (609) 771-7600. The registration form is accompanied by a Student Information Bulletin which describes the test, gives the dates and places for test administration, and the procedures for registration. Test centers are located throughout the United States and tests are administered on five specific dates established in advance by the testing service each year. Scores are reported to colleges and universities as requested by the student. In order to effectively place entering students in certain courses, we require some students to take additional placement tests prior to enrollment. These tests help to determine which students may need additional help in the areas of reading or mathematics. Students with the following scores are required to take this test: ACT English sub-score of 12 or below; SAT Evidence-Based Reading and Writing sub-score of 390 or below. Students scoring below the 11th-grade level on the Nelson-Denny Reading Test will be required to take READ-101 during the first semester at Lee University. This course carries two hours elective credit. Students with the following scores are required to take this test: ACT Math sub-score 17 and below; SAT Math sub-score 460 and below. Transfer students who are not required to submit ACT or SAT scores prior to admission will be required to take the Math Placement test unless transferring a college-level math class from another institution. All students who wish to major in nursing must be formally accepted to the School of Nursing in addition to being accepted to the university. 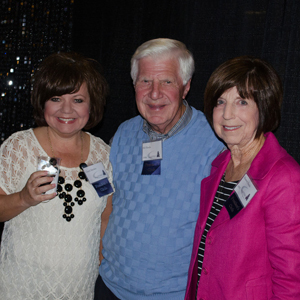 In order to apply to the School of Nursing the student must first be accepted to Lee University. Upon acceptance to Lee University, students should complete the application to the School of Nursing in order to fulfill any additional requirements to be accepted into the School of Nursing. See School of Nursing section for more information. All students who wish to major in music must be formally accepted into the School of Music by audition in addition to acceptance to the university. Students must contact the School of Music to schedule an audition during published audition days or at the beginning of a semester. In addition to an audition on the principal instrument/voice, each student must complete a piano proficiency exam and music theory placement exam. Qualified international students are considered for admission as freshmen and transfer students. Applicants with a native language other than English are required to submit scores earned on the Test of English as a Foreign Language (TOEFL), designed to ascertain proficiency in English and administered in many overseas testing centers. Students who wish to take the test should write directly to: TOEFL, Educational Testing Service, P.O. Box 6151, Princeton, New Jersey 08541. For further information, go to www.toefl.org. The SAT or ACT are accepted in place of the TOEFL. All international applicants must submit official transcripts from all previous colleges and/or secondary schools. An estimate of expenses and Sponsor’s Guarantee Form must be submitted with the application. These forms are available upon request. All of these must be received and approved before a student can be accepted to Lee University and issued an I-20 form. An international advisor works with all students in matters relating to admission and residency at Lee. Arrangements can be made for meeting a student upon arrival provided complete information is sent in advance to the Vice President for Enrollment. In order for the transfer work of international students to be applied to the Lee transcript, the transcript from the previous educational institution(s) must be evaluated by World Education Services (WES). Information concerning submitting a transcript for review can be found at www.wes.org. The cost of this service is the responsibility of the student. If the transcript has not yet been evaluated by WES upon arrival at Lee for registration, an advisor will place the student in courses deemed appropriate. Upon Lee’s receipt of the WES evaluation, the student’s placement will be re-evaluated if during the registration period. If received after the registration period, the student will remain in the class as placed. Immigration regulations require students in F-1 status to complete a full course of study during each fall and spring semester. Students are not required to register for classes during the summer session. A full course of study for an undergraduate student is at least 12 semester hours. All students must complete General Education core classes. Lee University is approved for veterans and dependents of disabled or deceased veterans under existing public laws. Eligible persons should contact the Veterans Administration regional office of the state in which they maintain a permanent residence. One must have authorization for VA or vocational rehabilitation training before registering. If in doubt about the procedure, check with your local VA office (800-827-1000 or 888-442-4551). All questions concerning VA benefits at Lee University should be put in writing and sent to the Vice President for Enrollment. Transcripts containing college credits acquired through USAFI courses and the College Level Examination Program (CLEP tests) or through colleges in the various branches of the military should be submitted with application. The transcript will be reviewed by the Director of Academic Services to determine the number of hours and the specific courses that are acceptable. A student from an accredited college or university will be admitted without examination, provided he/she withdrew in good standing and has completed at least 16 hours of college work. Transfer applicants must present an official transcript showing evidence of at least a 2.0 average in all academic work previously taken. If the student has fewer than 16 hours, he/she will be required to submit ACT or SAT scores and a high school transcript. The student should request that ACT or SAT scores and transcript be sent to the Admissions Office. Transfer students who have less than a 2.0 grade point average may be accepted on academic probation. Students who are Tennessee residents that are transferring fewer than 24 semester hours are required to furnish a high school transcript and ACT or SAT scores. Transfer of credit shall not be denied solely on the basis of the agency or association that accredited such other institution of higher education if that agency or association is recognized by the Secretary of the Department of Education pursuant to Section 496 to be a reliable authority as to the quality of the education or training offered. Transfer of credit is the result of an academic review process which may include the Registrar, the Director of Academic Services, the dean and/or chair of respective departments and the Vice President for Academic Affairs. This review is required in order to determine how and if transfer credits will apply toward courses within the major programs of study. No credit or transcripts from Lee will be issued until all previous transcripts are on file in the Office of Records. A student in good standing at an accredited college or university who wishes to enroll in the summer term only may be considered for admission as a non-matriculated (transient) student. Such admission will terminate at the end of the summer term and does not presuppose acceptance by the university. A non-matriculated student may submit, in lieu of official transcripts of college credits, a statement of good standing from the Dean or Registrar of the last school attended. This statement must include the total number of semester or quarter hours previously earned. Except in special cases, any student who has failed in another institution and who cannot remain in that institution will not be admitted to Lee University. All of the courses completed at an accredited junior college by a transfer applicant may be accepted provided the courses are submitted at the time of the original application. A junior college graduate, however, must complete a minimum of 60 additional hours at a senior level institution with the last 30 hours required to be taken in residence at Lee. 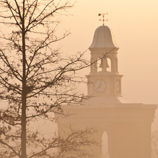 Once a student has reached junior status at Lee University he/she must have special prior approval to take any courses at a two-year college to be transferred toward a degree program at Lee. For schools accredited by agencies recognized by the Council for Higher Education and Accreditation (CHEA) or the Secretary of the Department of Education, Lee University will review and accept all coursework and the corresponding letter grade earned for courses which are comparable to those offered by Lee, excluding remedial academic work. 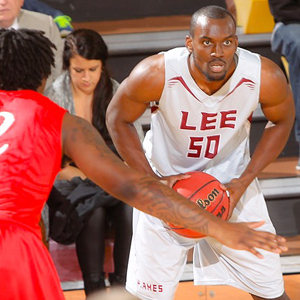 The last 25 percent of credits required for the degree sought must be taken at Lee. For courses for which Lee does not offer an equivalent, credit for related electives will be considered. A review committee which may consist of the Registrar, the Director of Academic Services, respective deans/chairs and the Vice President for Academic Affairs will make the final decision on credit awarded. If accreditation cannot be established, the transcript will be treated as if from a non-accredited institution. For schools in which accreditation cannot be established, Lee reserves the right to examine coursework requested to be transferred to the Lee transcript. Each transcript will be considered individually and separately. Letter grades will not be given; only pass-fail status will be recorded on the transcript. Documentation required for transcript review is the following: (1) original transcript, (2) a school catalog (for course comparison), (3) a description of faculty credentials (if not included in the catalog), (4) proof that the school is post-high school, (5) a research means, such as web-site and/or phone number. Securing this documentation is the responsibility of the student. If the above criteria are met, a review committee which may be composed of the Director of Academic Services, the respective deans/chairs in conjunction with the Vice President for Academic Affairs will make the final decision as to whether transfer work is accepted and how much credit is awarded. Grading systems and coursework vary greatly outside the United States. Therefore, in order for international transfer students to receive full credit for their post-high school educational experience, they will be required to submit all transcripts from international education institutions to World Education Services (WES) for credit review for a course-by-course academic credit evaluation. 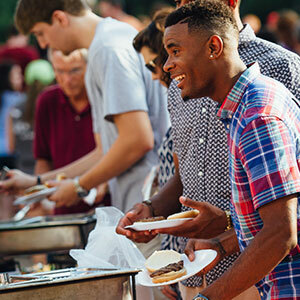 The fee for this service is the responsibility of the student requesting the services. Instructions for submitting a transcript for review can be found at www.wes.org. This website provides specific submission instructions for each country. The transfer work will not be added to the Lee transcript until the official academic credit report is received from WES. Lee University reserves the right to further review all courses that are being transferred to Lee. International transfer credits with a WES evaluation will be recorded on the Lee transcript with letter grades as reported by the WES analysis. International transfer credits without a WES Evaluation will be recorded with a pass-fail status (if the courses are deemed transferable to the Lee transcript). Therefore, academic qualifications of new international transfer students may be reviewed in order to determine if they qualify for the Lee University Honor Scholarship. The Honor Scholarship is awarded to any transfer applicant or returning undergraduate student who has passed a minimum of 30 semester hours, whose cumulative GPA is at least 3.70, and who is currently enrolled as a full-time undergraduate student. 2. Students will be required to complete 10 clock hours of service for each non-summer semester they are enrolled at Lee up to 40 hours. 3. Students will be required to complete LEEU-102A Global Perspectives Seminar, LEEU-102B Foundations of Benevolence, and either GNST-251/2/3 (a study abroad experience offered through Lee) or GNST-250 (an individually arranged and approved experience). 4. Students will be required to complete any pre-requisites for upper-division courses. 5. Students enrolled in Bachelor of Arts (BA) academic programs will be required to complete the Foreign Language requirement of two semesters at the intermediate level or higher. The intermediate level is the 200-level for French, Spanish, and American Sign Language, and the 300-level for Greek and Hebrew. 6. Students enrolled in teacher licensure programs (BST, BAT, BME) will be required to complete all courses necessary to meet state licensure standards, even if some of those courses are general education requirements that would otherwise be waived for students in non-licensure degree programs who have completed an Associate of Arts or Associate of Science degree. Lee University has entered into transfer articulation agreements with the following institutions and organizations: Cleveland State Community College (TN), Chattanooga State Community College (TN), Church of God School of Ministry (TN), SIAS University (China), and The National Academy Foundation (NY). Students planning to transfer to Lee University from these institutions should contact the Director of Academic Services for details about course equivalencies. Under certain circumstances an applicant over twenty-one years of age and not qualified for admission may be admitted as a special student by permission of the Vice President for Enrollment. © 2008 Lee University, All Rights Reserved. Powered by acalog ACMS”.